A sore throat can be a result of many things. Strep throat is a type of bacterial infection which takes a small portion of these reasons. 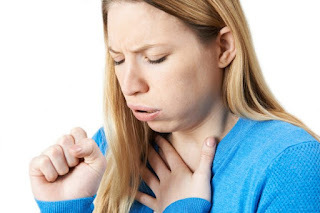 Strep throat can cause many complications if it isn’t treated. This disease most meets in children. Some signs and symptoms the doctor can base on to diagnose and treat. The earliest and easiest symptom is a sore throat which is more pain when you are talking or swallowing. Looking in your throat, you can see some red spots and swollen tonsils. The inflammation can cause a fever and headache. When we get a sore throat, we often think that the cold or virus is the reason. However, a type of bacteria counts in the cause of a sore throat is Streptococcus which causes strep throat. It can stay in your upper respiratory tract without any symptoms. Waiting until your immune system is weak. It will attack your throat. This type of bacteria can spread out to other people by coughing, sneezing, or talking. Tonsils are immune tissues which have a function to protect the body from the harmful properties. They are like the first protective layer when the air flows from the nose and the mouths to the lung. So, can you get strep throat without tonsils? In some people, they get tonsillitis many times so that the doctor tells them to do a tonsillectomy. The doctor will remove their tonsil. The question is “Can you get strep throat without tonsils?”. After a tonsillectomy, you may less get tonsillitis, but you can still suffer strep throat. 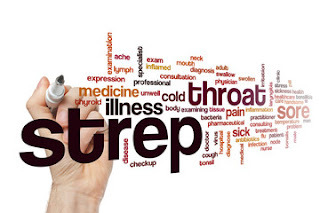 The Streptococcus can attack the pharynx and mouth to cause strep throat. The doctor will give you some medicines to against bacteria and reduce the symptoms. Antibiotics against bacteria, if you take antibiotic early in your illness, it can help to reduce the time and the severity of the illness. The doctor can give you oral intake or injection which depends on your condition. Antibiotic is so effective on treatment, but it has some side effect like diarrhea, nausea or losing appetite. This type of medicine helps you to ease the pain and reduce the infection. The doctor can combine NSAIDs and antibiotic. If you drink this medicine group, you should drink it after a meal because its side effect is stomachache or it can make your stomach ulcer worse. For thousand years, people have been used elderberry as a traditional herbal to treat diseases include strep throat. This herbal is most common in Australia and Europe. Elderberry contains antiviral and antibacterial properties. Some studies show that this tree reduces the symptoms of virus infection. These days, elderberry is used more and more in daily life so that many companies make the products which have elderberry property such as tea, capsules. In your strep throat days, you can drink elderberry tea instead of water. It helps your recovery process is quicker. Echinacea is original from North America. Experts say that this flower enhances our immune system. It also helps on reduce the pain and swelling in strep throat. Echinacea tea will make your body relax and ease the pain. Vitamin C increases your immune system and reduces the inflammation. Thus, it’s effective to treat strep throat. You should supplement Vitamin C through the food such as citrus fruit or grapefruit. Vitamin C also helps to increase you texture skin. A glass of orange juice in the morning can boost your energy and refresh all your body. Honey contains antioxidant and antibacterial properties, and it has a thick texture. Thus, honey can prevent the bacteria and virus. You can mix honey and lemon which riches in vitamin C. You can put the hot water, lemon and, honey. This drink helps to ease the pain and infection. Another way, you can take a bottle and put honey and lemon into. You should cut the lemon into small pieces and make sure that honey covers up all lemon. Leave it to use for a long time. When you feel irritated in your throat, just take a piece of lemon and hold it in your mouth. This is a great ideal to treat strep throat. Peppermint brings you a comfortable feeling. It also boosts your mental condition. You can steam with peppermint oil and lavender oil. Try to inhale to make the air go into your throat. Ginger is a kind of spice in your kitchen. Ginger is not only so effective on hypotension or cold but also in strep throat. Just a piece of ginger can be useful. Cut the raw ginger into small piece and keep it in your mouth. Anti-inflammatory in ginger will cure strep throat. If the taste of uncooked ginger is too hard to eat, you can mix with honey. The same to ginger, garlic is not strange to you, and it is so easy to find. Garlic includes antibacterial and anti-inflammatory properties so that you can use it to treat strep throat. You can eat the fresh garlic or mix it with honey for a better taste. In some Asia countries, in the meal, many people eat the raw garlic to increase their appetite. To sum up, Can you get strep throat without tonsil? The answer is yes. You can treat strep throat with medication or chose some home remedies to treat it at home.